Your #1 Transmission Repair Shop! Get Quality Transmission Services at Competitive Prices! Welcome to Suburban Transmissions of Northern Illinois. We are an automotive transmission repair shop located in Des Plaines, IL. 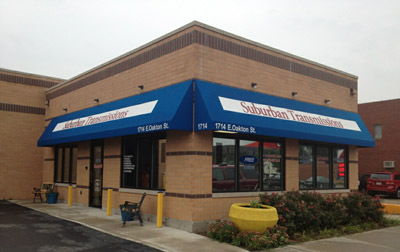 Since 1979, we have been servicing vehicles within the Chicagoland area. Our goal is to provide you with the best possible value for your transmission's service needs. Our repair technicians are more than just experienced mechanics; they're transmission specialists. For many years we have worked together as a team repairing and rebuilding all types of transmissions - foreign, domestic, manual and automatic. If you want guaranteed, quality work at a reasonable price, we're the shop for you. We offer free computer diagnostic testing. Call and schedule an appointment today! Can't bring your vehicle to us? Then we'll come to you! Call and ask our service representative about our free Chicagoland towing service.